SAN DIEGO, April 13, 2010 – Histogen, Inc., a regenerative medicine company developing solutions based on the products of newborn cells grown under embryonic conditions, today announced the one year data findings of its Hair Stimulating Complex (HSC) pilot clinical trial. Statistically significant new hair growth was seen in HSC-treated subjects at this follow-up timepoint, one year after their single treatment with HSC. 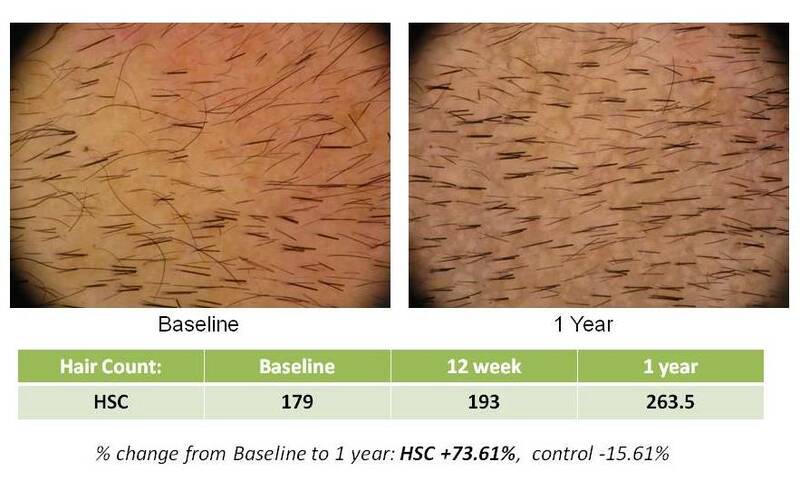 This new data indicates that a single HSC treatment not only results in rapid hair growth (statistically significant increases in the number of terminal hairs, hair thickness density and hair shaft diameter was seen at three months), but that these results persist over time. The pilot 24 subject clinical trial of HSC was a double-blind, placebo-controlled evaluation of safety in the clinical application of the product as an injectable for hair growth. Quantitative analysis of clinical macrophotography and subject biopsies were utilized to evaluate treatment safety and efficacy. No adverse events were seen at any timepoint, including the one year follow-up. HSC is a proprietary formulation of naturally secreted embryonic-like proteins and growth factors. In addition to Wnt 7a, which is recognized to be critical in the induction and maintenance of hair follicle growth, the complex contains a wide variety of factors typically produced by embryonic cells and which are important to the hair cycle, such as follistatin. While these embryonic-like materials are amplified under Histogen’s unique manufacturing conditions, undesirable proteins and growth factors, including Wnt 5a, which has been shown to be associated with cancer, are eliminated. HSC is a unique composition resulting from growing newborn cells under embryonic conditions. The hypoxia/microgravity results in large amounts of follistatin (41.6 ng/ml in HSC versus 6.75 ng/ml in normal culture conditioned media), VEGF (9.1 ng/ml versus 2 ng/ml), KGF (5.4 ng/ml versus 2.1 ng/ml), and a lack of the scar-related TGF beta (0 ng/ml versus 1.7 ng/ml in normal cultures). This composition is covered by pending US patent #2010/0047305. The full results of the HSC clinical trial will be presented at the Society for Investigative Dermatology (SID) Annual Meeting, taking place in Atlanta, May 5-8, 2010. Presentation abstracts have been published by SID are now available for review at http://sid.abstractcentral.com/login. 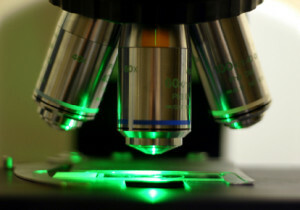 Histogen is currently in planning stages for the next clinical trial of HSC, which is scheduled to begin in late 2010. This next trial will further examine the safety and efficacy of the HSC product as an injectable for hair growth, and will also evaluate optimum treatment dosing and delivery. Histogen is currently seeking a Series B investment round, which will be utilized to finance these next stages of HSC development and trials. Histogen, launched in 2007, seeks to redefine regenerative medicine by developing a series of high value products that do not contain embryonic stem cells or animal components. Through Histogen’s proprietary bioreactors that mimic the embryonic environment, newborn fibroblasts are encouraged to naturally produce the vital proteins and growth factors from which the Company has developed its rich product portfolio. Histogen has two product families – a proprietary liquid complex of embryonic-like proteins and growth factors, and a human Extracellular Matrix (ECM) material, ExCeltrix. For more information, please visit http://www.histogen.com. Histogen says the % change from Baseline to 1 year is +73.61%… but 179 hairs to 263 hairs is only a +47.21% increase, is it not? Thank you for your comment. You are correct, the numbers shown in the slides do show a 47.21% increase (179 to 263) which represents the increase in total hair count. In reviewing the actual numbers in the clinical data, the 73.61% increase is actually the increase in the terminal hairs in that subject. So, the numbers on the slide are correct – however, they relate to two different parameters measured (Total Hair Count and Terminal Hair Count). We also saw statistical significance in multiple efficacy endpoints including Total Hair Count, Terminal Hair Count, Thickness and Hair Thickness Density. Also measured were Velus hair count, rate of growth, etc. Thank you for your astute observation. I think you would agree that this is very exciting considering it was an injection at baseline only. 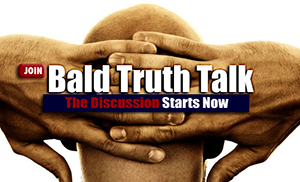 After the pilot study, Dr Ziering said in an interview on the Bald Truth that there appeared to be a regression from what they saw on the 3 month results to the 5 month results. He suggested that a stronger ultimate treatment doasge, follow up treatments or topical versions might be needed to maintain. The new results obviously contradict that. Was Dr Ziering mispoken or is there a reason for the discrepencey? That was interview done in September 29, 2009. They have to go through clinical trials before they can put it on the market. Its the standard procedure for all pharmaceutical products. If everything goes as planned Phase 1 and 2 will happen this summer/fall in Singapore. Phase 3 will happen in 5 Asian countries next spring, and we can expect a product to be approved in Asia in 2013. When could we expect to see this product in Australia and would this product work on a completely bald scalp? I don’t need to start saving, if a cure was released anywhere in the world I’d sell my house, take a vacation from work, jump on an airplane to wherever this treatment was offered, return home, and live in my car. For entertainment I’d twirl my hair around my finger. How much will be the approximate cost of the product which will be available in market hopefully by 2013? 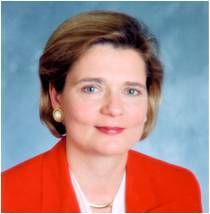 Hi Dr. Mark A. Hubka, if everything goes well with the HSC and Histogen launches the HSC in Asia in 2013, there will be people (maybe millions), who want to go to Asia to do the treatment. 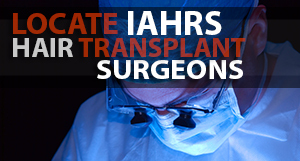 Do you have a plan to treat all those people withe a short time or there will be a long whait list for the patients? Hi, you can be sure that there will be millions of ppl, who want’s to be cure’d! I am from Poland, and we got many young ppl affected by hairloss. We are follow every move in this market. The cure probably is worth all of ours money!